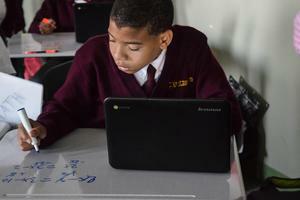 A CTK Admissions Information Night will be held on Thursday, November 8th from 6-7pm at 5088 West Jackson Boulevard. Join us! 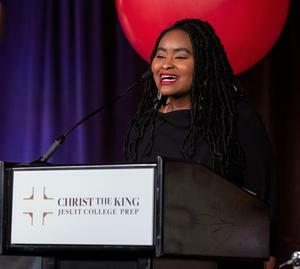 Tamika Turner Djondo to lead the joint Corporate Work Study Program for Christ the King Jesuit College Prep and Cristo Rey Jesuit beginning in July. On May 18th & 19th, a dozen faculty members ran 200 miles from Chicago to Madison to provide a Chromebook computer for every CTK sophomore. 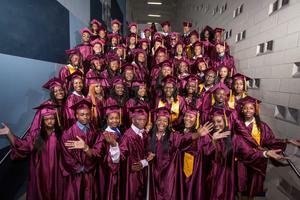 Your support is still needed to help us achieve our goal. CTK takes Second Place in Howlett Cup Mock Trial Competition! 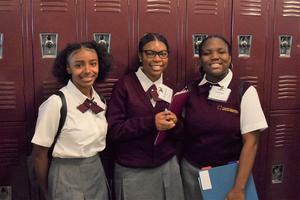 CTK’s mock trial team earns best finish in 5 years, and gains valuable courtroom experience.